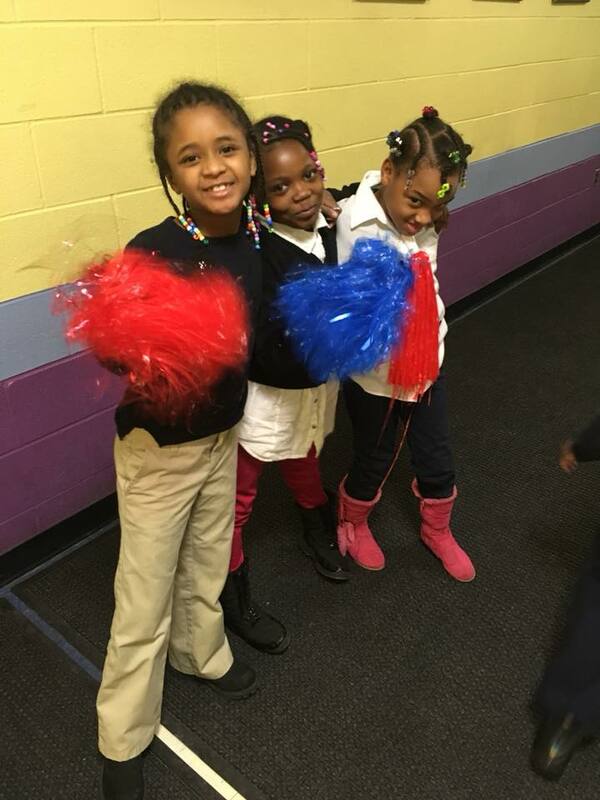 The students at Fisher Magnet Lower Academy will enjoy more than 650 new books in their renovated Literacy Lounge! 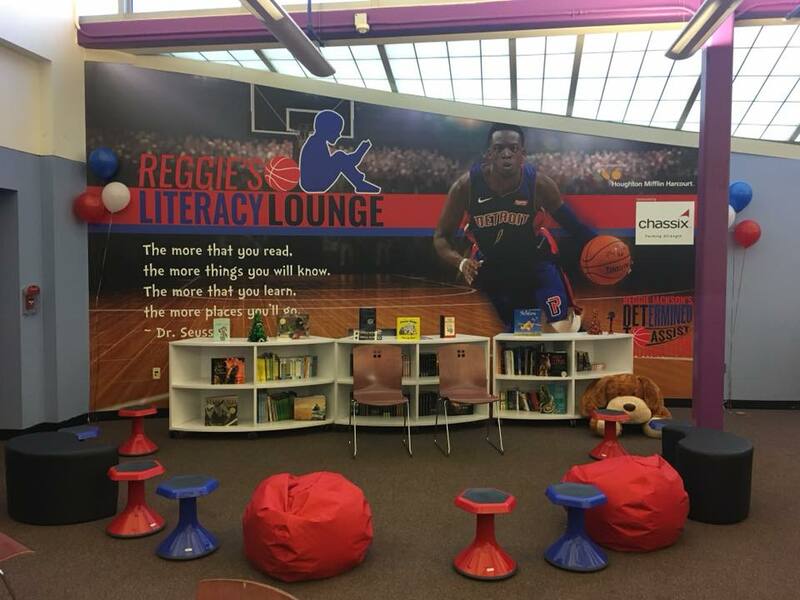 The Detroit Pistons, Houghton Mifflin Harcourt and Chassix donated books, bookshelves and murals to create a fun, relaxing, learning environment for our students. 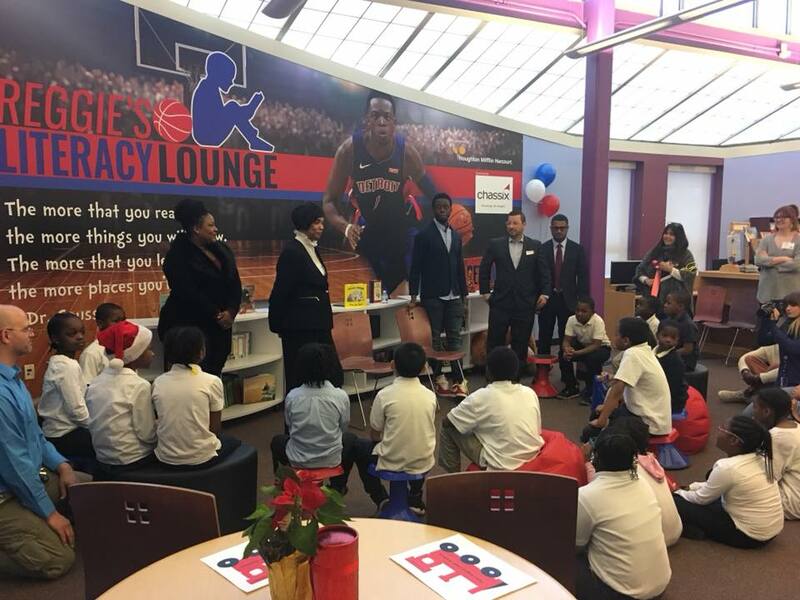 The students welcomed player Reggie Jackson with cheers and pom-poms and followed him into the lounge for the official grand opening celebration and story time. Thank you to our partners for creating this literacy space for our students to learn! This entry was posted in Info News Center, News and Press Releases and tagged 263.